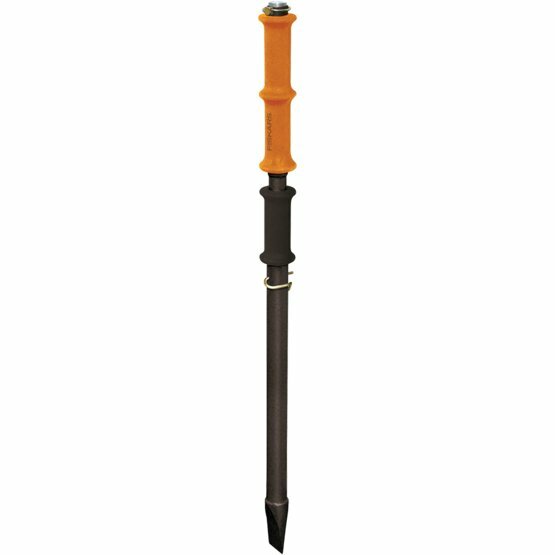 Fiskars Log Splitter is a highly innovative and cleverly designed tool for splitting logs effectively, effortlessly and safely. It uses a variable weight - removable 1kg counter weight which moves inside its robust long lasting steel tube as it strikes against the hardened wedge at the business end. The repeated striking of the weight against the wedge quickly splits logs with very little effort while the user's back remains perfectly straight. This means that less effort and strength is required when splitting logs. This is a precise tool, which eliminates the risk of miss-hits meaning consistent results.